This blog (supplemented by https://clarespark.com/2015/11/07/the-change-of-heart-explanation-for-dr-ben-carsons-redemption/) attempts to lay out reasons for the politically inexperienced neurosurgeon’s broad appeal to segments of the Right. The conversion narrative is always a winner to conservatives; the claim that divine intervention changed Dr. Carson from a pathologically violent adolescent to the mild figure he cuts in the debates, is of obvious appeal to many born – again conservatives. 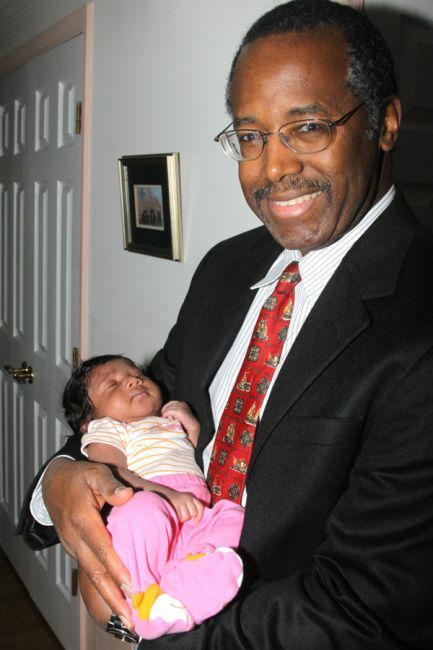 Detroit’s Dr. Carson may stand for the urban black population as a whole; many conservatives hope to solve the problem of the decadent black underclass through a religious revival, perhaps led by the nuclear father-led family. The rags to riches theme is a staple of conservative ideology. Many Republican voters seek to remove the stigma that they, as a whole, are racists and/or anti-science; with Carson there is a double pay-off: not only will Republican voters support a black President, there is no conflict between science and religion. Hence Fox News Channel leaped to Dr. Carson’s defense on the Megyn Kelly show on November 5, 2015, interviewing him sympathetically and without skepticism or much curiosity regarding his proclaimed innocence of the CNN charges. What remains to be explained is why the connection between Dr. Carson and Armstrong Williams, his close adviser and promoter of the allegedly “moderate” Nation of Islam as a solution to urban violence in Chicago , has gone virtually unexamined, even though the conservative journals American Thinker and The Daily Caller have raised the issue. Certainly, no one on Fox News Channel in the prime time shows has explored such a troublesome connection, but then presumably “moderate” Fox has generally ignored the alarming rate of rising antisemitism/anti-Zionism, preferring either silence or the moral equivalence narrative favored by President Obama (see this widely read blog https://clarespark.com/2009/09/11/oil-politics-and-obamas-view-of-israeli-history/). Armstrong Williams in no way supports Farrakhan or anti-semitism. He has stated the obvious, that NOI has been successful in turning black men and women away from the degradations of contemporary urban culture. Have you never seen Louis Farrakhan rant about “the Jews”? Of course, anti-Semites would fasten onto the supposed cleaning up of black decadents to get them to rise in the social scale. Did you read the bibliography?